To bless is to express love. A blessing is, for many of us, something good and pleasant that occasionally happens. Something quaint. For most of the world, however, blessing is much more profound: It's a prayer with the horizon in view. Tina Boesch discovered this richer aspect of blessing as she lived and ministered in far-flung places around the world, where blessings reach beyond mere congratulations to deep visions for life-long flourishing. She discovered a current of blessing that runs from the dawn of Creation to the ebb and flow of our everyday lives. More than that, she found that God has designed us not only to speak blessings to one another but also to become blessings. 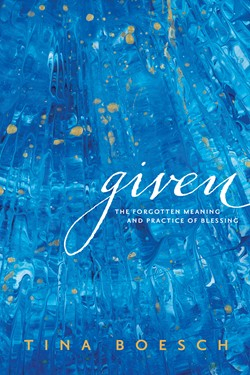 In Given, Tine shares stories, insights, and practical steps to help us move wholeheartedly - in word and deed - toward the future good of those we love.